You have planned your day to perfection, from the venue to the dress, you’ve got everything under control, right? Accidents are impossible to avoid, and you’ve got to anticipate a few little hiccups happening on your wedding day. Whether someone spills red wine down their dress or a guest falls ill with a migraine, the best thing you can do is be totally prepared. That is where a wedding day emergency kit comes in. An emergency kit for weddings can be packed with absolutely everything and anything. From make-up to tissues, aspirin to snacks, a bridal kit can easily save the day and it’s a must-have for your celebration! 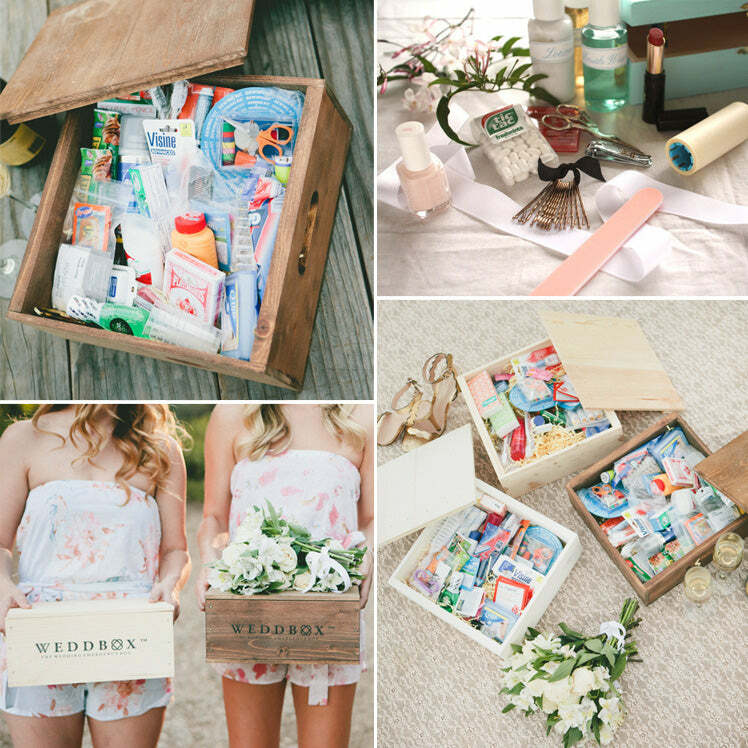 We suggest packing a variety of things in your wedding kit, from the fun stuff to the absolute essential items. Let’s break it down into a few categories so you know exactly what you are going to need in your wedding survival bag. There is nothing worse than spending the day with a banging headache that just won’t budge! We recommend packing paracetamol, sunscreen, floss and other toiletries in your wedding kit. Your guests will love the idea and they’ll definitely appreciate the gestures if a crisis strikes! Treat the ladies to some beauty products and spare make-up! You don’t need to pack an entire cosmetics store, but a spare lipstick or concealer will definitely come in handy. It’s also a good idea to add in a can of hairspray and even a hairbrush. This will ensure that you and your guests are looking photograph-ready throughout the whole day. Plus, your guests will be able to redo smudged mascara after all of those happy tears! It’s the little extras that will add the wow-factor to your wedding kit. From phone chargers to chewing gum, carefully consider the items that you think your guests would love to use on your special day. 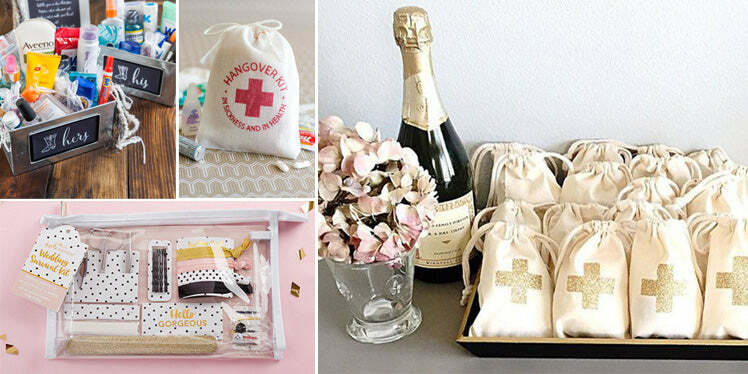 An emergency kit for your big day is a fun and useful alternative to offering your guests wedding favours. You can use a wicker basket, wooden crate or hessian bag to hold all of your items and you can easily make it a lovely part of your special day.